Dr. Ken Danylchuk is a Fellowship Trained Orthopedic Surgeon who is originally from Canada but has called Southern Colorado his home for the past two decades. He has homes in Pueblo and Rye, where he lives with his wife and four children. 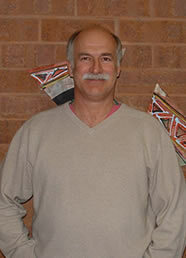 He is very active in the community, especially with St. Therese Catholic School, the Men's Hockey Association, Pueblo's Youth Hockey League, and has been involved as physician with the French Ski Team in World Cup Competition for twenty years. His dedication to research and new technology makes him the number one choice for orthopedic total joint replacement and spine referrals. Dr. Danylchuk's professional accomplishments include attending Canada's most respected medical institution, McGill University. Research degrees include a MSc and PhD from the University of Western Ontario. Topics included Metabolic Bone Disease, including Environmental Toxicology and Osteoporosis. He went on to complete his surgical internship at UCLA, his surgical residency at Dartmouth University and then completed his Orthopedic Residency at Harvard University. Dr. Danylchuk also completed an Orthopedic Fellowship in Total Joint Reconstruction at Massachusetts General Hospital/ Harvard Medical School in Boston. Dr. Danylchuk's other accomplishments include Senior Lecturer at the Department of Orthopedic Surgery at the University of Auckland, New Zealand and Assistant Professor of Orthopedic Surgery at Duke University, Asheville VA Medical Centre. Dr. Danylchuk has a wide variety of orthopedic experiences in diagnosing and treating conditions such as osteoarthritis of the hip, knee and shoulder, spinal disorders, such as degenerative disc disease and spondylothesis, and joint revision surgery. Dr. Danylchuk is Board Certified and a proud member of the Colorado Medical Society, Pueblo Medical Society, American Academy of Orthopedic Surgery and North American Spine Society. Dr. Danylchuk has attending privileges at Parkview Medical Center and Saint Mary-Corwin Regional Medical Center in Pueblo, CO.
Canon City, Florence, Fountain, Colorado Springs and Raton, New Mexico.